Contributing towards meeting the Sustainable Development Goals in the United Nation's 2030 Agenda is quickly becoming a focus for businesses. By helping your company envision, formulate and integrate sustainability strategies into your business operations as well as apply robust evaluation methodologies to measure performance, Altus Impact can not only help you meet the sustainable development challenges laid down by the UN (embodied in the SDGs), but we can also, through applying a 'sustainability lens' across your business, help your company be a leader in eco-efficiency, boosting brand credibility and potentially (hopefully!) its profitability. The UN's Sustainable Development Goals (SDGs) set out a global framework to end poverty, reduce social injustice and ensure raised living standards are achieved in an equitable and environmentally sustainable way. Success is dependent on the mobilisation of the combined resources of governments, the not-for-profit sector and business enterprise. The SDGs build-on the UN’s Millennium Development Goals and address a range of themes, such as poverty, food security, health, inequality, gender, justice, natural resource management and ecological integrity. Importantly, the targets are interconnected; failure in achieving some targets will have an impact on the capacity or cost effectiveness of achieving others. In addition, the UN recognise the SDGs will not be achieved without global partnerships between governments, inter-governmental organisations, business, academia and civil society; indeed, one of the Goals is for ‘partnerships’. The 17 United Nations Sustainable Development Goals for 2030. A word cloud quickly reveals the key features and objectives of the SDGs. Despite partnerships remaining key to meeting the SDGs, the 2030 Agenda places responsibility on nation states for implementing the policy frameworks to achieve the goals. On a very positive note, particular attention is paid to 'women', 'technology', 'access', and 'resources'. A key focus for the work of Altus Impact is SDG12 - responsible consumption and production. The SDGs explicitly link economic development with investments in social and natural capital. It is not the case that countries need to choose between the economy and the environment, but they need to addreess both. And the goals will only be met through a partnership between governments, civil society and the private sector. 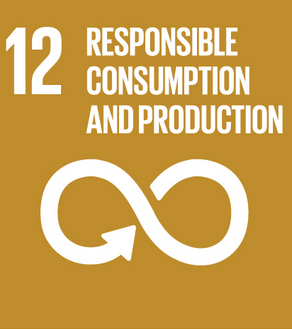 SDG12 supports sustainable consumption and production patterns and specifically target 12.6 ‘encourage[s] companies, especially large and transnational companies, to adopt sustainable practices and to integrate sustainability information into their reporting cycle’. Your business can gain a critical edge by taking the lead on meeting the UN 2030 agenda and the Sustainable Development Goals. Supply chain pressure — Although larger corporations are likely to take the lead in aligning their strategies towards the SDGs, meaning if your business is part of a supply chain it is likely to face tough questions on its performance and pressure to qualitative and quantitatively demonstrate solid social and environmental performance. Attract skilled and motivated employees—those who have plenty of options available to them—prefer working for companies with strong sustainability credentials. Exhibiting a commitment to the SDGs will mean you more likely recruit and retain the best employees. Engaging employees in achieving the SDGs is likely to get the best out of them. Consumers support the SDGs (even though they are unlikely to fully understand the commitment). A survey by PwC suggests 78% of consumers would more likely buy from a company supporting the SDGs. Whilst there are numerous reporting and sustainability tools, the SDGs also provide a useful prism through which to view your company’s performance. The scope is broad, but in many instances it is relatively straightforward to monitor metrics and crosscheck your risk profile in terms. Providing customised guidance for companies on how to align their strategies as well as measure and manage their contribution to the realization of the SDGs. Offering strategic sustainability advice and support, including policy scanning services to help you adapt to the changing regulation environment. Contact us to find out more about our dedicated service offerings and how we may be able to assist your company on its journey towards meeting the SDGs.